« Anyone need a good stuffing? Thanks to Google, I now know that a ‘mola’ is a blouse worn by the Kuna women of the San Blas archipelago, off the coast of Panama, which has decorative panels on the front and back made of reverse appliqué. Or possibly the ‘mola’ is just the appliqué panel; it’s not clear. You can see a Santa Claus mola here. 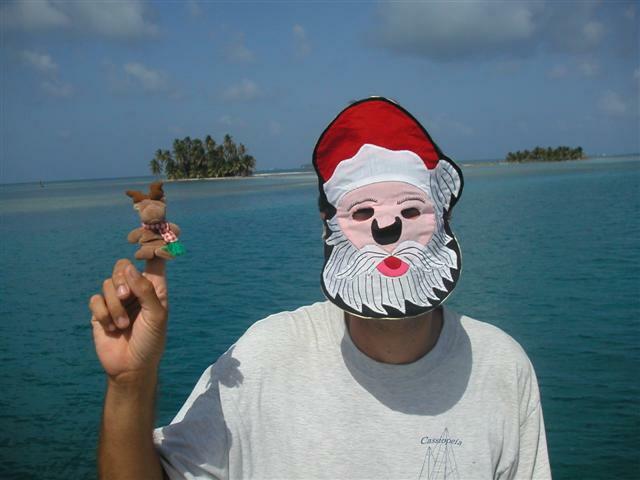 The masks are made for the tourist trade – you can see more of them here. Or, if you’re in a more bah humbuggy kind of mood, there’s always ‘Santa Claus removing the mask of Death’ (which has an unexpected poetry connection).